Can we go from satellite snapshots towards services about snow and ice movements? 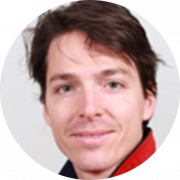 Bas Altena currently works as a postdoc at the department of Geosciences, University of Oslo as an ESA Living Planet fellow. His background is in Geodesy, Geomatics and Computer Vision, done in Utrecht, Delft and Leuven, respectively. All these different components come together in his work where he studies glaciers and other frozen phenomena. Bas does research on mountain glaciers with (cube)satellite imagery, and specializes in novel photogrammetry and remote sensing techniques to map movements in the cryosphere. His most recent publication is “Weekly Glacier Flow Estimation from Dense Satellite Time Series Using Adapted Optical Flow Technology”. Apart from fieldwork experience in Tibet and Svalbard, Bas has done longer research stays at the Norwegian Polar Institute (Tromsø, Norway), National Snow and Ice Data Center (Boulder, Colorado), and the Institute of Low Temperature Sciences (Sapporo, Japan). Our level of individual process understanding of cryospheric components is at a high level. But many dynamic changes that occur in the Arctic are due to interactions between these components and in combination with specific environmental conditions. This results in complex behaviour, which is difficult to assess, especially when detailed information is lacking. For these cases velocity products can be used to advance our knowledge within several disciplines within the Earth sciences. Advance from fragmented velocity snapshot to coherent, large scale glacier velocity time-series. Becoming resilient to ice-jam flooding through integration of remote sensing into hydrological modelling. Kääb, Andreas & Winsvold, Solveig & Altena, Bas & Nuth, Christopher & Nagler, Thomas & Wuite, Jan. (2016). Glacier remote sensing using Sentinel-2. Part I: Radiometric and geometric performance, and application to ice velocity, Remote Sensing. 8. 598. 10.3390/rs8070598.